Created on May 17, 2010.
the use of cryogenic technologies in the production and extraction of isotopes. "The SOREQ APPLIED RESEARCH ACCELERATOR FACILITY (SARAF) - Overview, Research Programs and Future Plans"
"A MODERN METHOD of TARGET PREPARATION for 99mTc on CYCLOTRON"
"PRODUCTION of MEDICAL ISOTOPES on PROTON AND ELECTRON ACCELERATORS (review of new publications)"
R. Dallakyan - "Laser Processing Based Technology Of Mo Target preparation and Target Chemistry of 99Tc Extraction"
G. Elbakyan - "Cryogenic methods of Mo target cooling". 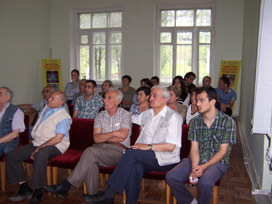 National Laboratory Director Ani Aprahamyan and Chair of Board of Trustees Nerses Yeritsyan accompanied the President to the nuclear medicine center at premises of YerPhI. 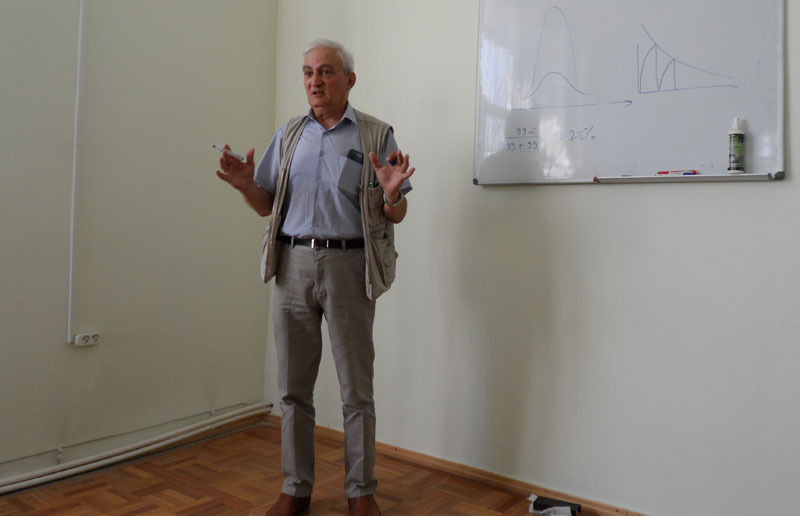 The head of Radioisotope production laboratory Dr. A. Avetisyan presented the nuclear physics research program with 18 MeV proton beam of cyclotron planned by YerPhI physicists. The possibilities of putting the cyclotron into operation quickly were discussed. 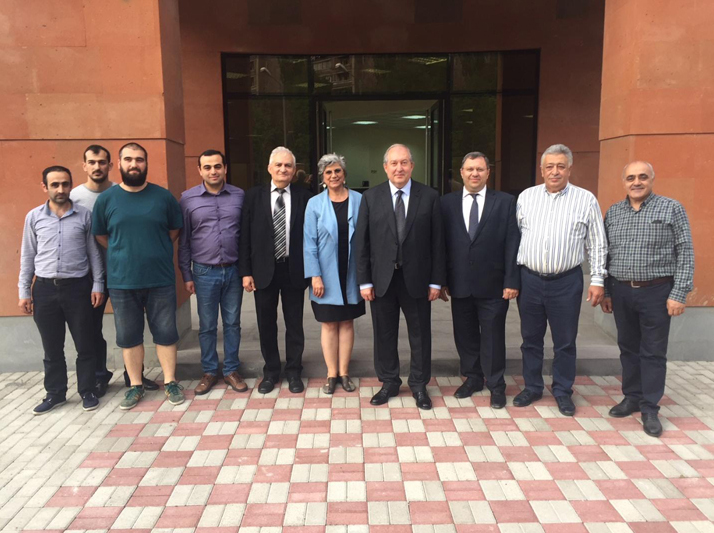 On May 31, 2016 a PhD student of isotope department Gevorg HARUTYUNYAN successfully defended his PhD thesis titled:"ACCELERATOR METHOD OF PRODUCING TECHNETIUM 99M – TECHNOLOGY OF PREPARATION AND PROCESSING OF THE TARGET AND THE BEAM CONTROL"
We wish You new successes, Gevorg!!! 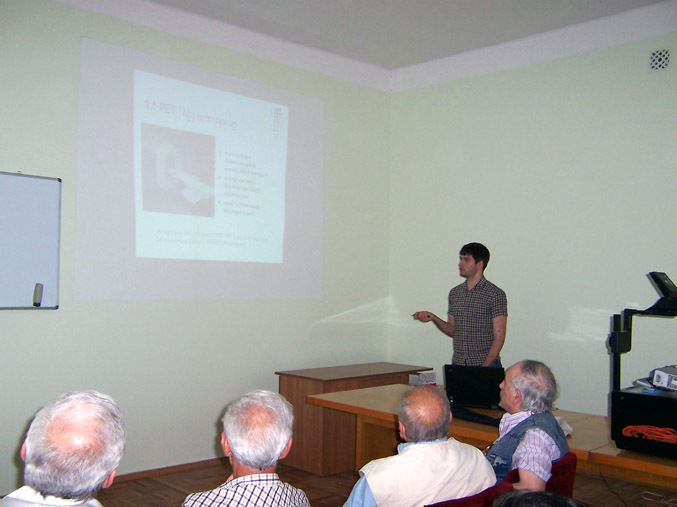 Test of the PhD thesis "ACCELERATOR METHOD OF PRODUCING TECHNETIUM 99M – TECHNOLOGY OF PREPARATION AND PROCESSING OF THE TARGET AND THE BEAM CONTROL"
employee of the Isotopes Research and Production Department. "INFORMATION ABOUT THE PROSPECTS OF COOPERATION OF STATES - CIS MEMBERS IN THE FIELD OF PRODUCTION, USE, AND PROMOTION OF ISOTOPE PRODUCTS"
"TIME-OF-FLIGHT METHODS FOR NEUTRONS ENERGY MEASUREMENT ON EXPERIMENTS UNDER C18 CYCLOTRON BEAM (review and proposal)"
"The International Atomic Energy Agency (IAEA) supports producing of medical isotopes in Alikhanyan national lab (Yerevan Physics Institute)"
"TECHNOLOGY FOR PRODUCING DIRECT 99mTc proton beam from the cyclotron. 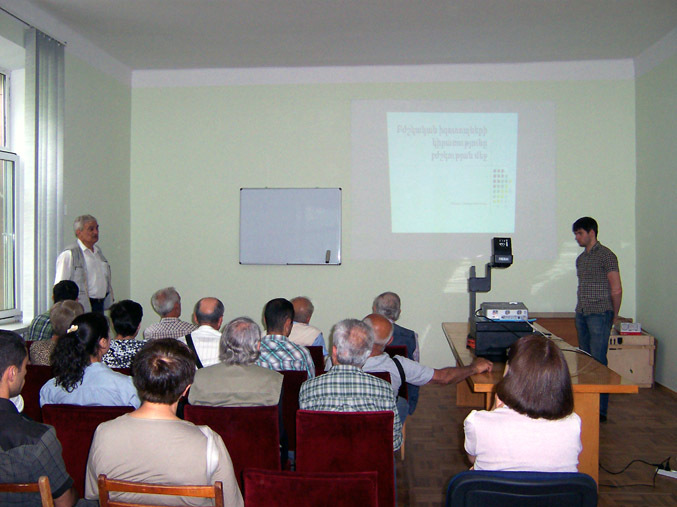 TECHNOLOGY OF TARGET"
"TECHNOLOGY OF ISOTOPE 123I electron beam - based on the Dubna experiments have"
"The Sandwich Training Educational Programme (STEP) aims at offering fellowship opportunities to Ph.D. students from developing countries in the fields of physics and mathematics...."
"99mTc direct production technology using proton beam from cyclotron"
"Production of radionuclides for science and medicine with a low energy cyclotron"
"World Medical Isotope Crisis: How did this happen and where are we now?" 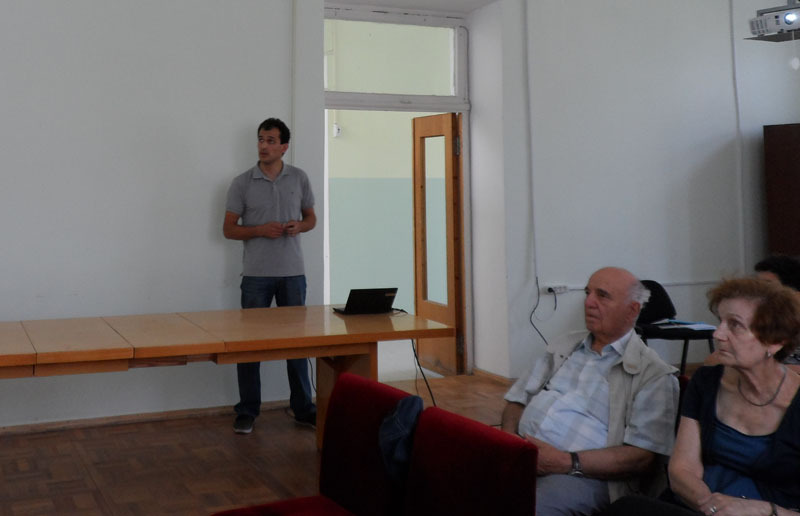 On June 7, 2013 a PhD student of isotope department Ruben DALLAKYAN successfully defended his PhD thesis titled: "The Investigation of Photonuclear Reactions under 40 MeV Energy Beam of YerPhI Linear Electron Accelerator ". We wish You new successes, Ruben!!! On June 7, 2013 the PhD thesis of co-worker of the Isotopes Department Rouben Dallaqyan will be defended. 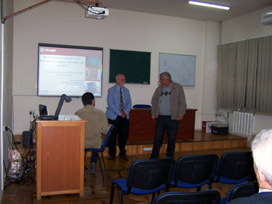 The author's Ph.D. thesis can be found on this site. Master student of Yerevan State University - trainee of the Isotopes Department of YerPhI Gevork Harutyunyan defended his master thesis titled "Gamma-scanner for radiology purity testing of medicine intended radioisotopes". Scientific supervisor - head the Isotopes Department Dr. Albert Avetisyan. 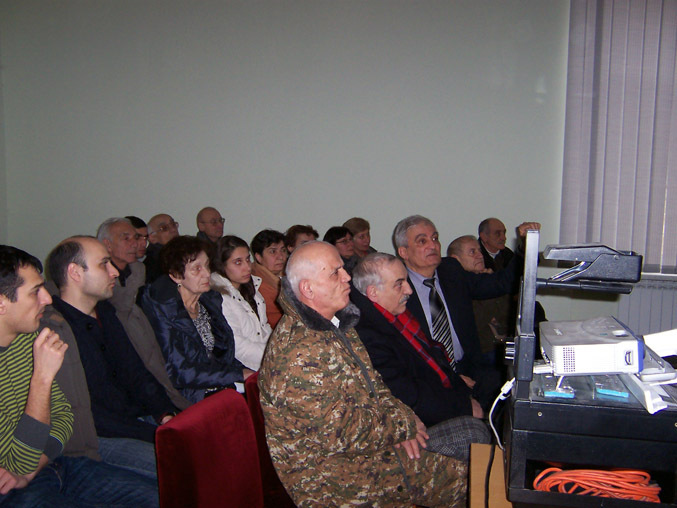 Master student of Yerevan State University - trainee of the Isotopes Department of YerPhI Ani Movsisyan defended her master thesis titled "Investigation of opportunity of 99mTc isotope direct production under С18 cyclotron proton beam". 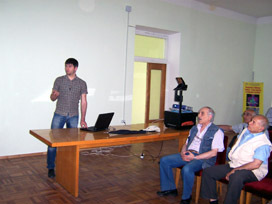 Scientific supervisor - head of the Isotopes Department Dr. Albert Avetisyan. The Isotopes Research and Production Department WEB site was launched - "ISOTOPE". Workshop: "CYCLOTRON BASED PRODUCTION of TECHNETUM-99m" - based on the IAEA Radioisotopes and Radiopharmaceuticals Reports No. 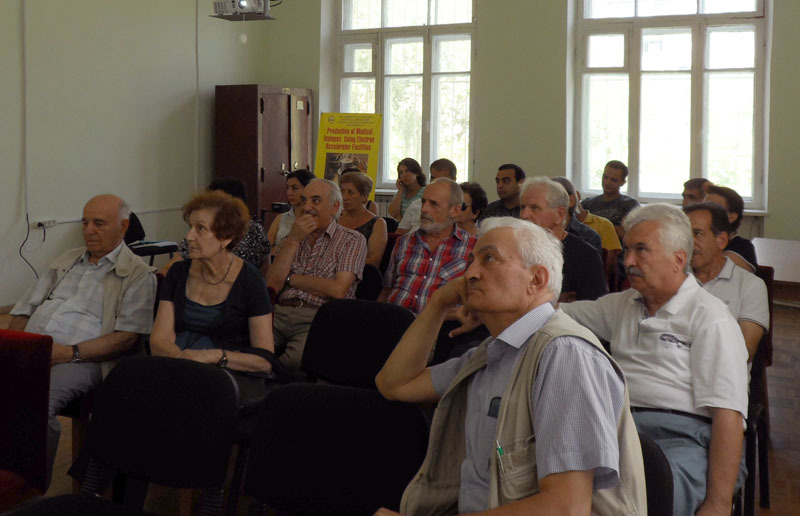 2, "CYCLOTRON BASED PRODUCTION of TECHNETUM-99m"
Workshop: "TECHNOLOGY OF ISOTOPE 123I electron beam - based on the Dubna experiments have"
Workshop: "World Medical Isotope Crisis: How did this happen and where are we now?" 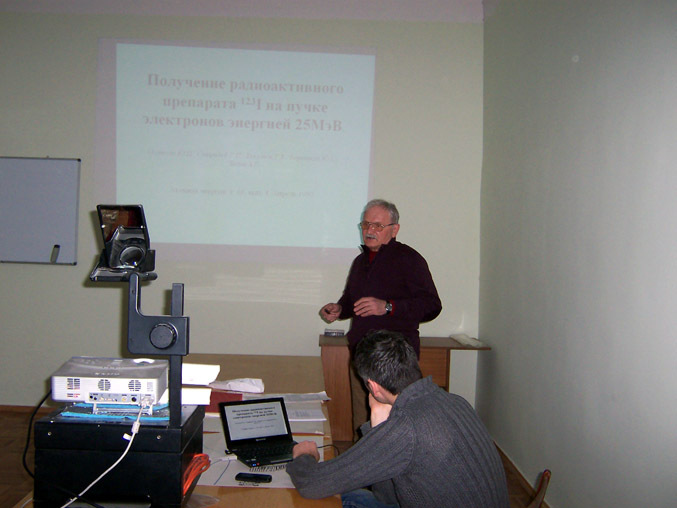 Workshop: "ISOTOPES APPLICATION FOR MEDICINE"
Workshop - presentations: " 99mTc DIRECT PRODUCTION USING PROTON BEAM FROM C18 CYCLOTRON"
Workshop - presentations: "The solid target Nirta Solid Compact Model TS06, С18 cyclotron"
© 2012 - 2019 г.г. When using the site materials reference to the original articles is obligatory!